“KimKino” is designed as an illustration of an enlarged field of art and put together by internationally renowned curators and artists – Marita Muukkonen, curator, art critic (HIAP, Helsinki, Finland); Johan Gustavsson, artist (Project Space “1646”, The Hague, The Netherlands); Adeline Blanchard, project leader (CULTURESFRANCE); Ojārs Pētersons, artist (VKN, Riga) and Ieva Astahovska, art critic (LMC, Riga). From 21 to 24 September, “KimKino” will offer to attend four – Latvian, French, Dutch and Finnish – film programmes. The second programme, screening French films, will take place on Wednesday, 22 September at 7pm at Kim?. Will there be a sea battle tomorrow? The film plays out a precognition experiment whose aim is to estabish the ability of the person tested to guess which of five symbols will next be selected at random by the machine set up in an adjacent room. It creates a maze of logical and contradictory assertions that cause the spectator to ask fundamental questions, which, although unanswered, poetically put our condition into perspective. Ariane Michel has filmed Céleste Boursier-Mougenot’s installation, a kind of walk-through aviary for a flock of zebra finches, furnished with electric guitars and other instruments and objects. As the birds go about their routine activities, perching on or feeding from the various pieces of equipment, they create a captivating, live soundscape. The piece is about a correspondence between two people; one who is confined and the other one is in prison. The whole movie is constructed on these text (sms), image and talk exchanges. The film begins by the staging of the film process (in a way, the beginning of the film tells the shooting of the filmic object) and becomes little by little a movie that questions the notions of freedom and imprisonment. This film shows feature movies footage of record-players or people manipulating records. The sound-track is constituted by the natural mix of the originate sounds of these footages. Straight Stories is a video project taken place in border areas, where physical and imaginary geography are made indistinguishable. The second part combines a double track. On one hand, a twelve minute journey from Detroit to this Asian shore to European Istanbul. On the other hand, the story tells of a young Iraqi refugee, reflecting her experience of waiting, and her need for hope. 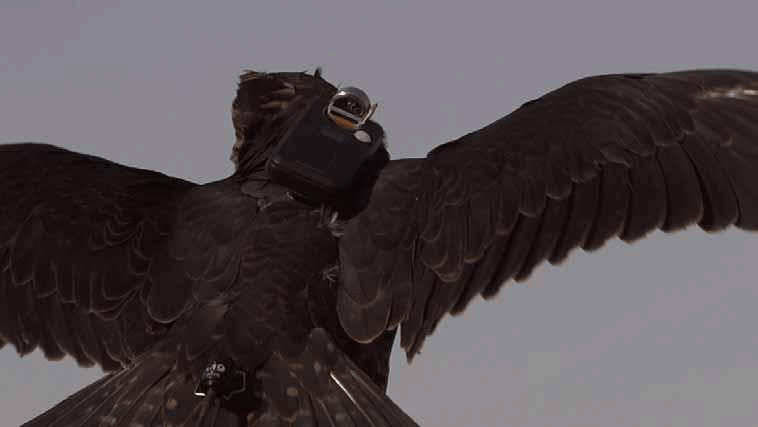 By equipping a falcon with a miniature camera in the film, the artist transformed the perennial, traditional hunting practice into an instrument for espionage, like an animal drone used by the army for flying into inaccessible territories. Hors Saison (Vacancy) consists of a slideshow of postcards that depict various hotel interiors in France. A male voiceover tells the story of a vacationing couple and quietly describes the insidious way his marriage is falling apart. Because “The World is not Enough”, Julien Prévieux adds a completely new set of effects to the penultimate James Bond movie: each shot is enhanced by additional explosions, flames, smoke, torrents of water and avalanches… Thus “augmented”, the film reveals a second rhythm which is no longer that of its narrative, but the rhythm of its new effects. The appropriation of the cinematographic object stems from a logic of economic over-production rather than from a desire for a remake-like reproduction. By adopting a phoney mimetic posture, the artist works his way into the production line at the moment when the latter is supposed to have already come to an end, in order to prolong it and spontaneously propose improvements.